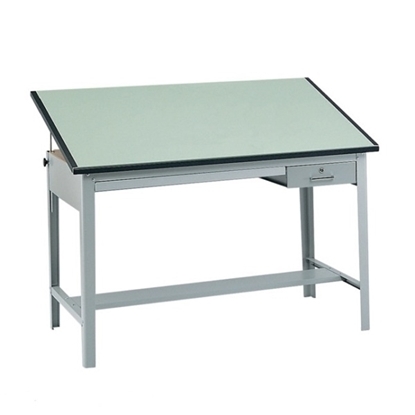 Drafting tables, also known as drawing tables, architects tables or drafting desks, can be used as a multipurpose desk typically for drawing, writing, or sketching on a larger sheet of paper. Drafting tables provide a larger, angled workspace and is perfect for artists, engineers and architects. 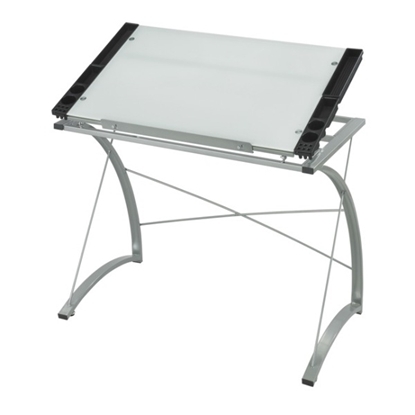 A glass top drafting table that lets use dry erase markers on its surface to take notes. This table would make a great addition to any office or home office setting. A versatile table that can be used fro drafting, as a desk, and sitting or standing. This tables height adjusts from 26"-37.25"H and its top can tilt to a 50 degree angle. 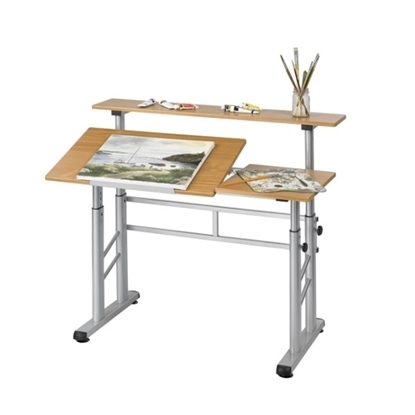 A drafting table that has an angle adjustable up to 50 degree. This drafting table features a tool drawer and a reference drawer. This unit comes with a 60"W green tint top.